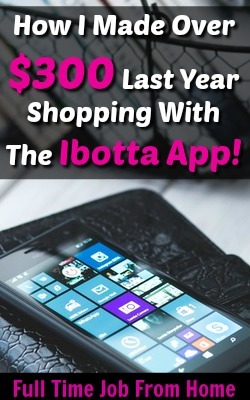 Ibotta is one of the best companies that pays you for your shopping. You’re probably here to figure out if Ibotta is a scam. I am here to tell you that it’s not and I will be showing you exactly why within this Ibotta Review. The best thing about Ibotta is it pays you for something you already do every month. It was one of my favorite supplemental income opportunities. 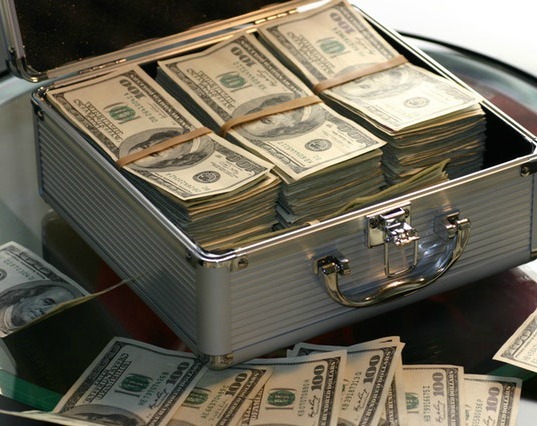 With Ibotta you will get cash back on all your purchases that Ibotta is currently paying you to buy. Please understand that this is just an extra income and you have to spend money to earn cash back, if you’re looking to make a full-time income online, check out My #1 Recommendation, it’s how I made over $13,000 online last month! In this Ibotta review, we will take a look at the Ibotta scam and figure out exactly why it’s not. Ibotta is a mobile device app that will pay you cash back on your in-store purchases. The app shows you what products are eligible for cash back and at what stores. 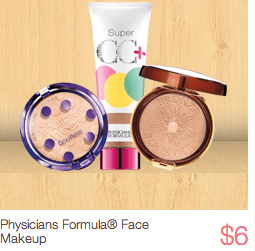 All you have to do is buy these items and prove that you bought them by uploading a picture of your receipt and you get paid! Ibotta is super easy to join. Visit their website above to learn more or download the app in your mobile app store and enter the referral code: xsolsia, and get $10 for Joining! Open up the Ibotta app and find the products you plan on buying in the product gallery. All you need to do is add the products to your buying que. Next head to the store and do some shopping. Pick up some of the items that you have found within the Ibotta product gallery so you can earn cash back! Ibotta doesn’t know if you bought the products or not, so you need to prove to them that you did. All you need to do is upload a receipt of the purchases using the mobile app. Once you upload your receipt, you will receive your cash back! Ibotta pays by PayPal, Venmo, and gift cards. There is a $20 minimum cash out amount, but once you reach $20, you can get paid at any time. 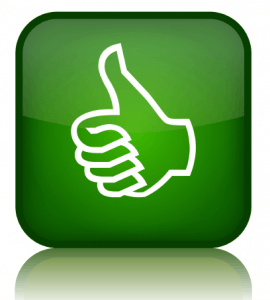 As most of you know, if I recommend a site or app, it’s because I’ve personally used it. One big question is, does the site pay? I’ve included a picture below of payment proof from Ibotta. You can see I cashed out $11.40 and it went straight into my PayPal account! That payment was outdated, so I thought I’d update with another payment. Please keep in mind that most of my earnings come from referrals! I gave Ibotta a 95 out of 100 because this program is really easy to use and pays you for something you do every month. We all have to buy groceries and other products so why not get money back. I did find a few things I did not like Ibotta, but no major issues. They give you credit for your purchases and pay on time. Everything I have found out about Ibotta from using it shows that it’s LEGIT! I love companies that pay you for things that you already do every single month. You know you’re going to buy groceries and other products so why not get paid for it. The payment system for Ibotta is pretty good. They have a low cash out amount of $20. They offer payments through PayPal which I always use, but also offer a few different options such as Venmo and gift cards. 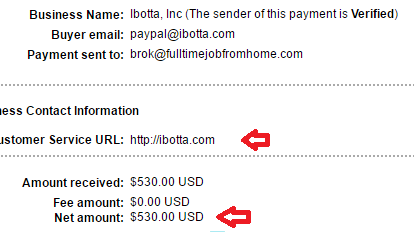 One of the best things about Ibotta is you can get paid for referring others. Everyone goes shopping so it should not be hard to find people interested in getting cash back on their purchases. The referral program gives you $5 for every member you refer that signs up and redeems at least one purchase through the app. One thing that is a concern for Ibotta is that it’s only available through the mobile app. If you do not have a smartphone or mobile device like a tablet, Ibotta is not available to you. This is not a problem for most people, but there will be a few people who don’t have smartphones but don’t worry you can use checkout 51. Ibotta purchases only work at some stores. Basically, if it’s a big chain store purchases can be redeemed through Ibotta. But your locally owned stores will not work for cash back through the app. One thing that you have to be aware of is Ibotta is a low-income opportunity. It’s a supplemental income opportunity that should be combined with other opportunities to make a good deal of money online. You can see the rest of my supplemental income opportunities here. As long as you know you’re not going to get rich using Ibotta you should be very happy with joining. You are making cash back on purchases that you usually would not be! I love the Ibotta app and have used it for a few months now. I think it’s a great app that works and does pay you. I recommend Ibotta to everyone who has a smartphone. You won’t be disappointed once you start earning cash back on your purchases! If you would like to sign up for Ibotta you can do so through the link below, or by downloading the app and entering the referral code: xsolsia to earn $10 for joining! Like I said before, Ibotta is a low-income supplemental opportunity that should be combined with other supplemental income opportunities. Again, Ibotta is just going to earn you a small income in cash back when purchasing groceries, if you’re interested in a large online income, check out My #1 Recommendation, it’s how I made over $13,000 online last month! Thank you for reading this Ibotta Review. We have figured out that Ibotta is not a scam and a legit company to join. I hope you have enjoyed this review and I would love to hear your thoughts about this App in the comments section below!